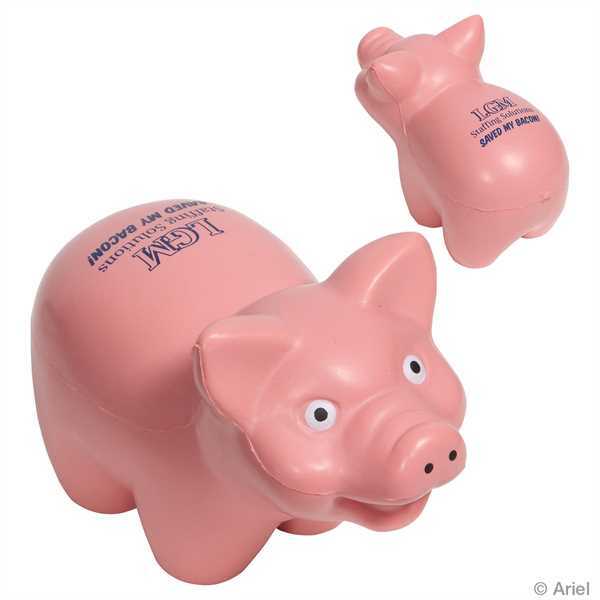 This pig stress reliever could make a great promotion! It comes in light pink, measures 4" x 2" x 2.75", and is made of polyurethane foam. The material makes it easy to squeeze and release the tension that's been building up over the course of a stressful day. This is a fantastic giveaway at tradeshows, conferences, and more. Add your imprint using our pad print method and show everyone that they can count on your brand! Size: 4 " x 2 " x 2.75 "